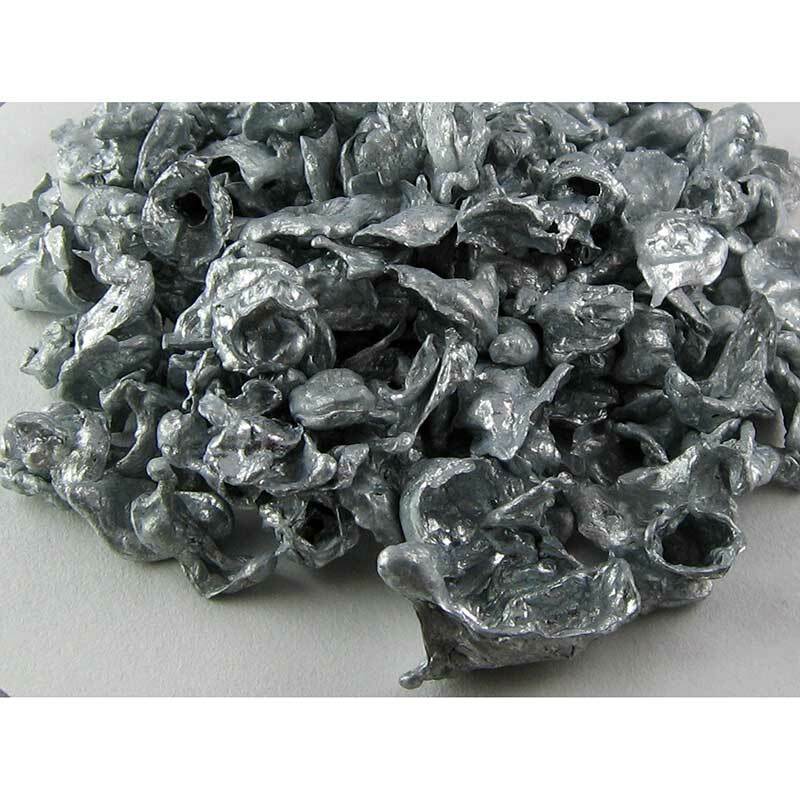 Lab grade Mossy Zinc Metal, 100gm for sale. 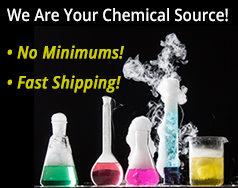 Buy from The Science Company. 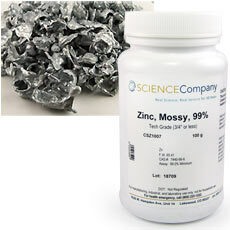 Mossy zinc is small nuggets of zinc made by rapidly cooling molten zinc in water. It appears as gray-blue or shiny, irregular lumps. 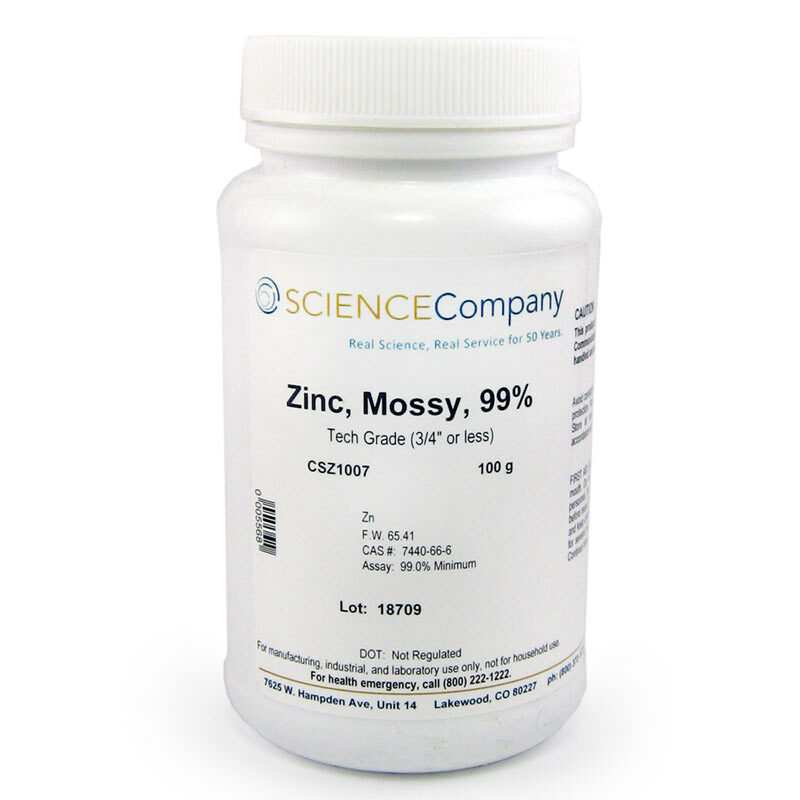 These zinc lumps are often used in chemistry experiments because they have a greater surface area than zinc strips.